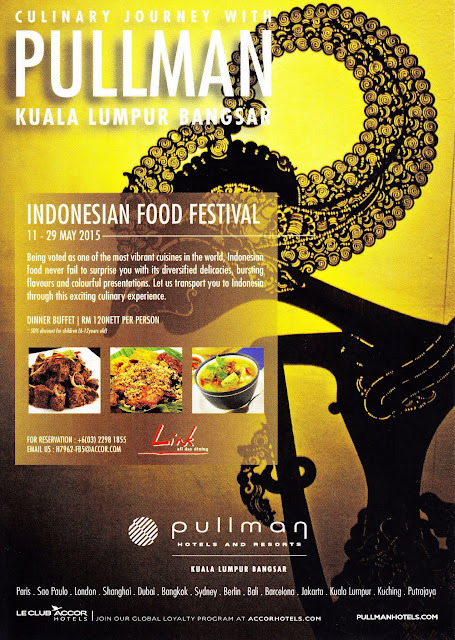 Pullman Kuala Lumpur Bangsar is proud to present the Indonesian Food Festival from 11 May to 29 May 2015 at LINK All Day Dining. The festival will provide guests, whether they are professional gastronomes or adventurous diners, to try out something new and exciting - a worthwhile experience not to be missed. LINK, a beautifully spacious All Day Dining restaurant seats 360 and runs on the concept of interactive show kitchens where dishes are prepared as fresh as possible to your orders. For the month of May, Pullman Kuala Lumpur Bangsar has specially invited Sous Chef De Partie Untung Pardiona and Demi Chef De Partie M.Ramli from their sister property in Jakarta to immerse diners with unique culinary dishes and transport diners to Indonesia through this exciting culinary experience. 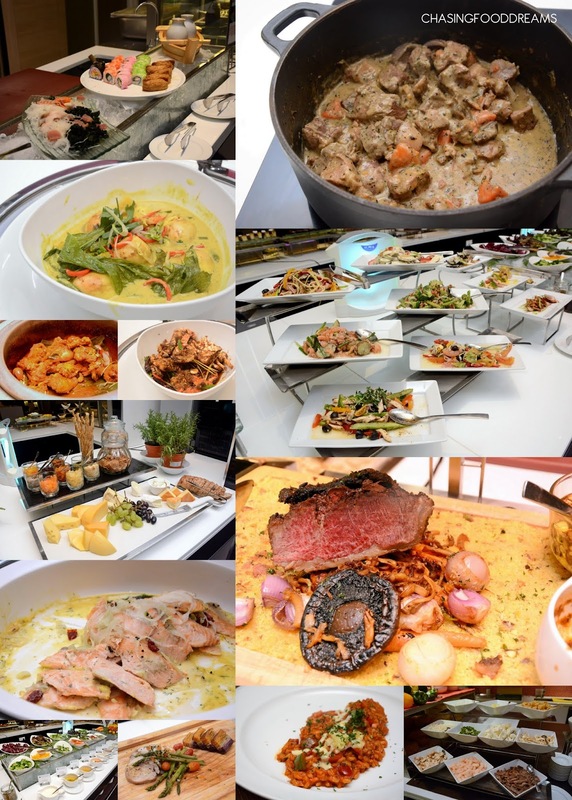 Members of the media and bloggers were invited to a sneak preview of the delicious Indonesian feast to come this month. We were tempted with lots of Indonesia classics from appetizers to mains and desserts. Tauhu Telur, a simple and yet popular dish of fried bean curd and egg never fails to please many palates. It is savored with a piquant sambal and crunchy vegetables as a snack. There was the Beef Dabu Dabu Salad, a spicy beef salad punched up with lots of spicy bird eye chilies, shallot and fresh tomatoes in a citrusy dressing. It’s not overly heavy but sufficiently flavourful with a good hit of heat. One of the highlights of Indonesia feast is the Kambing Guling. Tender and succulent lamb is nicely grilled with a lovely note of spices. I highly recommend the Rendang Daging Padang as it was a melting pot of gorgeous creamy flavours with lots of spices. The beef was fork tender and well infused with the flavours of coconut milk and spices. It was rich and moreish, pairing well with rice or bread. There was also Tongseng Kambing, a braised lamb stew that originates from Surakata in Indonesia. The stew uses tough meat like goat, lamb or beef and is simmered till tender with lots of vegetables, spices and herbs. This one is creamy and tasted like a light curry. Then there is the Ayam Penyet Plecing Kangkung, a dish from Lombok, Indonesia, which is chicken marinated and baked. This one is quite moreish and the chicken has a robust aroma of shrimp paste. The Nasi Goreng Daun Mengkudu is delicious. Fluffy rice grains are fried with a special leave named Daun Mengkudu. Sayur Labu Dengan Udang is also another dish perfect with rice. Its stewed pumpkin cooked with prawns. The flavours are more on the sweeter note with the pumpkin and a little tangy with the tamarind. Do try the Soto Ayam Madura, a lovely and aromatic noodle soup in style of Madura, an island off the north-eastern cost of Java that is popular in Indonesia. The soup is spiced up with lots of cinnamon, star anise and other spices and laced with lots of fried shallot for its distinctive aroma. Desserts are also a must so save some room for Kolak (or Kolek) which is a sweet broth of banana and pumpkin in sweet coconut milk and Singkong Goreng which is fried tapioca. 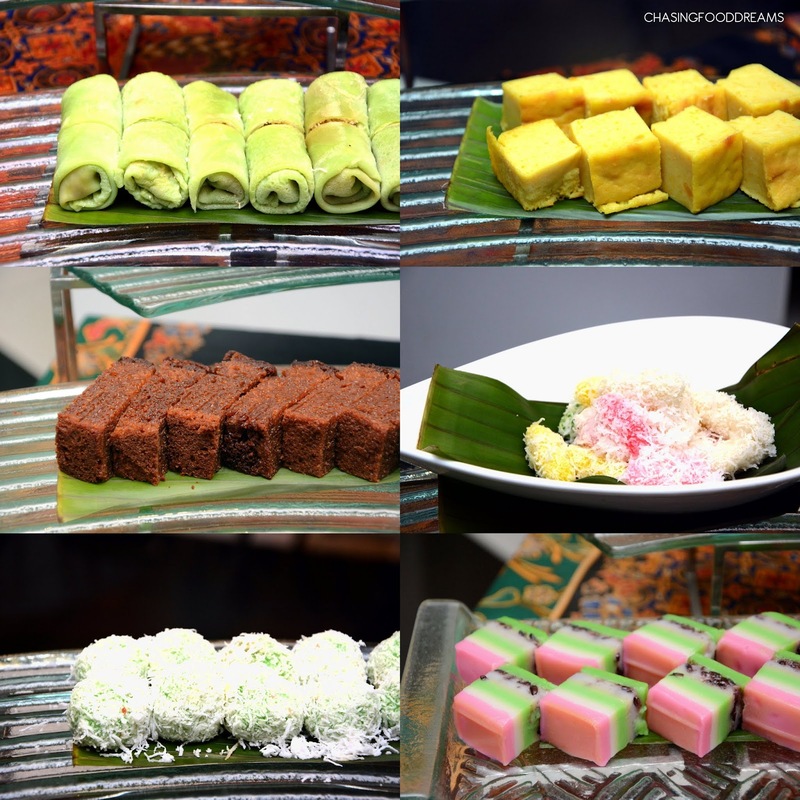 Other delectable Kuih Muih like Klepon, Ondeh Ondeh, Kuih Lapis Sagu, Dadar Enten and more are also available. Of course there are plenty more of other international dishes at all the live interactive kitchens at LINK. 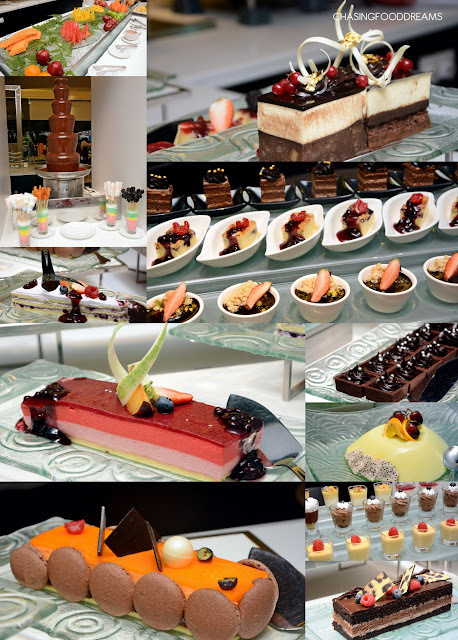 The dessert bar alone is enough to keep me happily satiated! In addition to presenting dozens of selected food, LINK also displays attractive decoration and fantastic costumes that incorporate Indonesian style to reflect the culture and gives guests the feeling of being in Indonesia. The famous wayang shadow-puppet, stone figures and Indonesian batik are among the decoration that will be seen at the outlet. What is also interesting about this year’s festival is that LINK invites Indonesia dancers to perform and introduce their traditional dance as a momentum to reflect their country diversity of ethnicities and culture throughout the dinner. 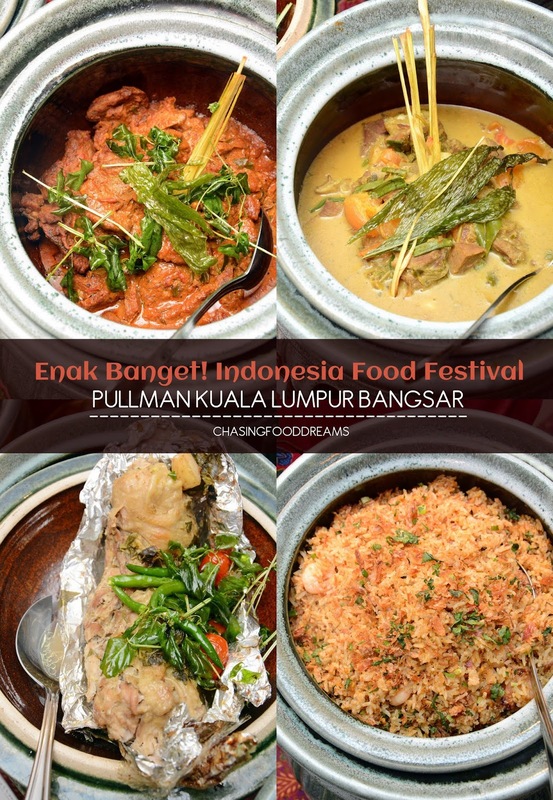 The whole Indonesian food experience is offered at an attractive price of RM120.00nett per person only (50% discount for children between 6-12 years old), commencing from 11th to 29th May 2015 (6.30pm to 10.30pm). Reservations can be made by calling LINK All Day Dining at +603 2298 1855.The operating hours will be from 12.00pm to 3.00om (Lunch) and 6.30pm to 10.30pm (Dinner). it really brings out the best of each of the ingredients.